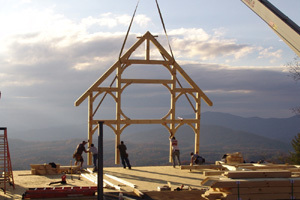 Timber Framing is a noble, majestic type of construction that utilizes exacting variations of mortise-and-tenon type joinery and massive timbers to form the framework of a building. 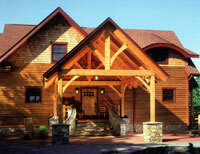 Hearthstone specializes in the traditional craft of Timber Framing. 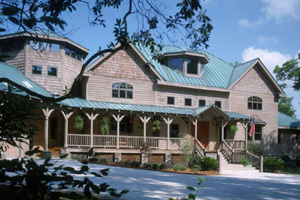 Meticulously practiced for centuries as the preferred method of building construction, the trade and tradition nearly died in the early 1900s, as steel mills, wire nails, high-production sawmills and mass production psychology replaced the art and craft of Timber Framing. 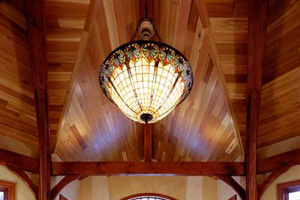 Hearthstone is committed to our Timber Frame homes and Commercial structures in the same spirit that guided those timberwrights of bygone centuries. 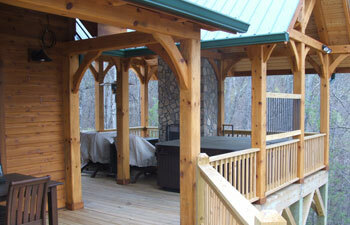 Hearthstone can provide timbers of any species and size our clients request. 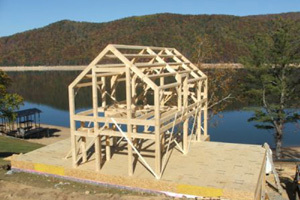 We use predominantly white pine frames, either planed smooth or hand-hewn. 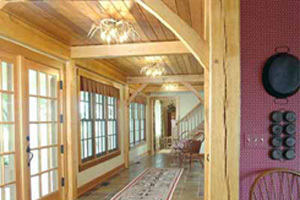 We have made traditional oak frames of douglas fir, antique heart pine, cypress and other timbers. 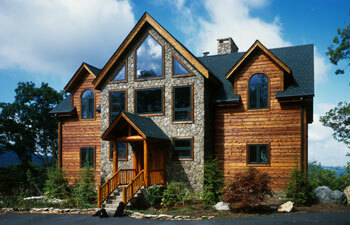 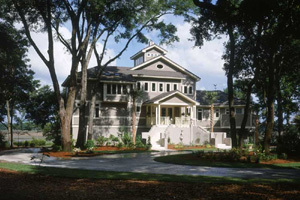 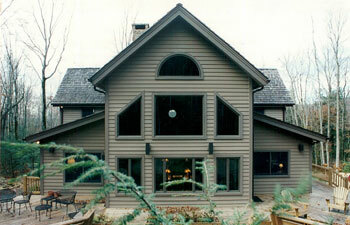 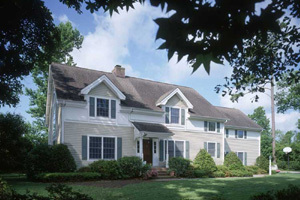 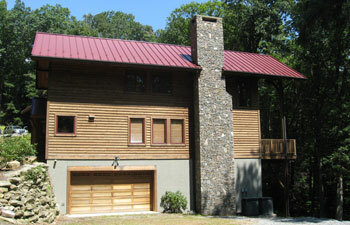 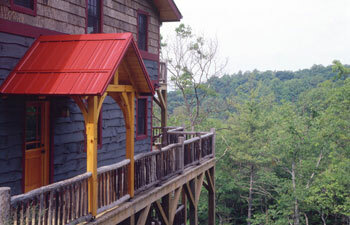 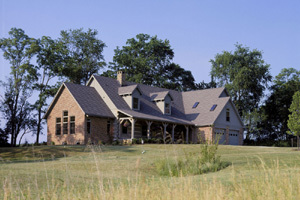 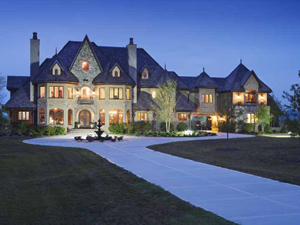 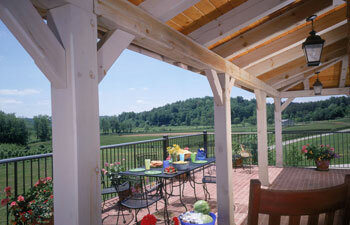 We offer dimensional upgrades on timber frame products for "super-sizing." 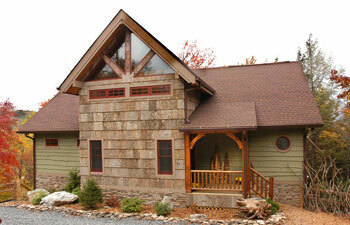 All of our Timber Frame Homes are built using Structural Insulated Panels. 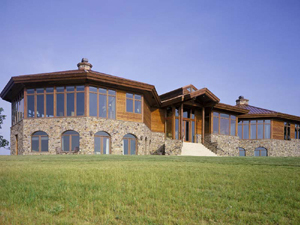 Many of these homes are "Hybrid Homes," with the great room and main portion of the living area built with Timber Framing, while the rest of the house utilizes the Timber Trace™ system with LVL beams and Structural Insulated Panels. 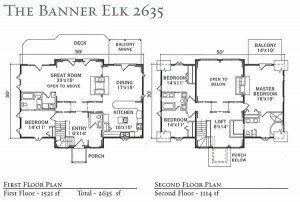 This Hybrid design can provide significant cost savings for our home owners, while still providing the energy-efficiency and elegance of a Timber Frame home. 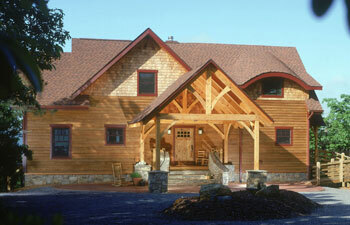 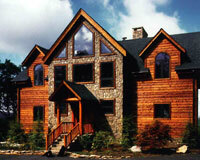 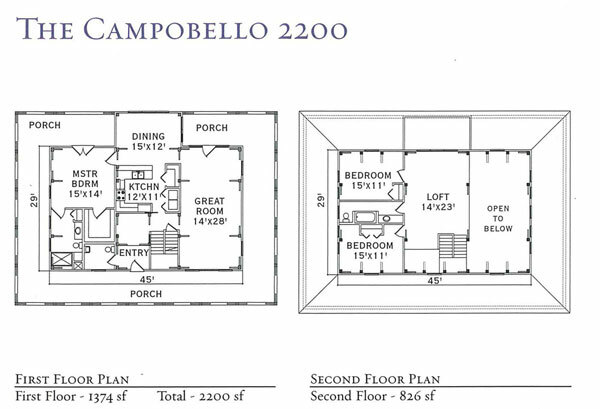 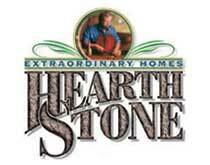 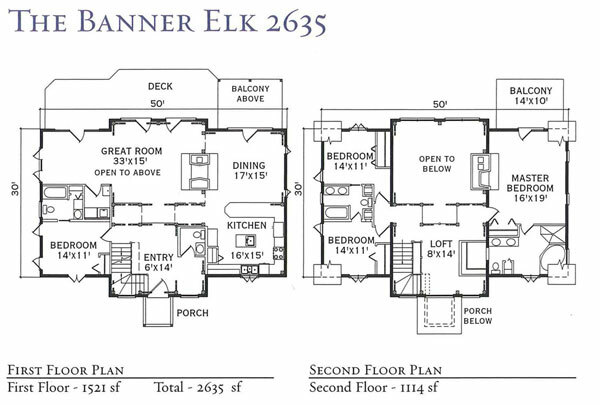 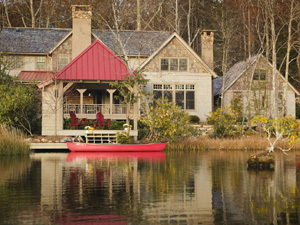 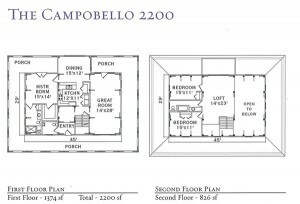 Learn more about Hearthstone Timber Frame Homes.